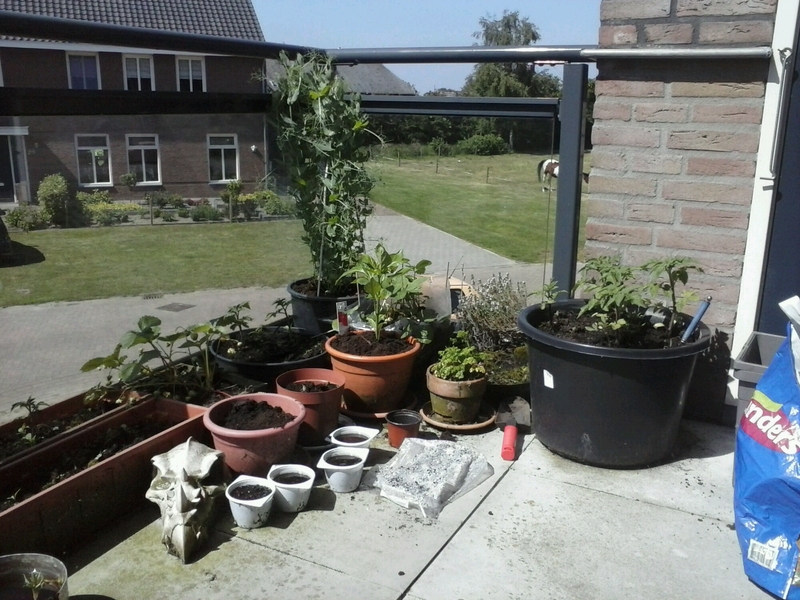 Balcony Garden is taking shape. The peas I’m growing from a box of dried peas I bought in the supermarket are doing well. The tomato plants I’m growing from seed are looking promising for later in the year. Cheated and bought a red pepper plant, a round courgette plant and strawberry plants. Also some suprises creeping up. There are still some beef tomatoes, coming up from a fallen fruit that fell last year and I didn’t bother to clear away, prefering to let it compost into the dirt. They have become part of my Guerrilla Gardening projecr oot n aboot The Village. Also red lettuce clones are cropping up from a plant I let go to seed a couple of years ago. Yep two years ago and I’m still getting several red lettuce plants from one or two that I planted. Some I’m keeping, the rest also part of the Guerrilla Gardening projet. Coffee filters are ideal for that. Keeping my fingers crossed for the red pepper and aubergines I’m growing from seed. Trouble is I forgot to label them. Only now I’m starting to see which is which. Also the garlic I’m growing from a couple of leftover cloves are getting there. I should get a few decent dinners out of this. 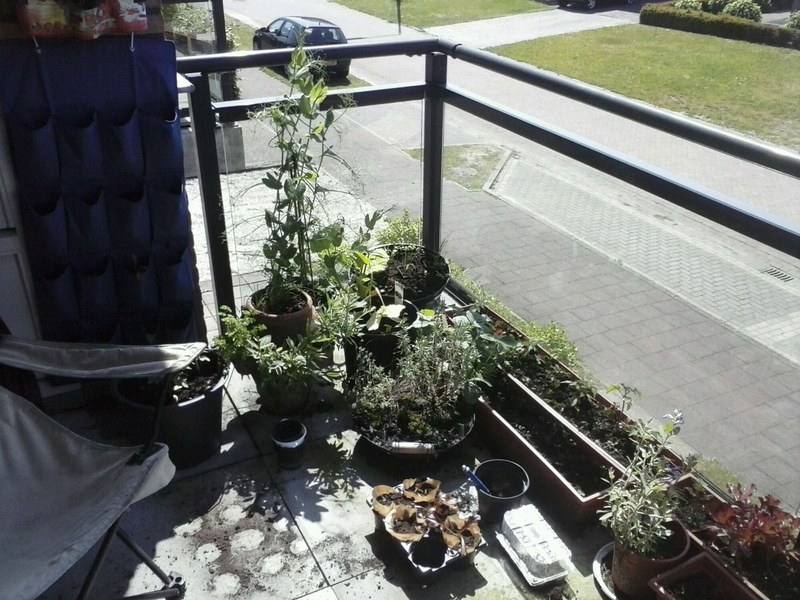 This entry was posted on Saturday, May 17th, 2014 at 3:11 pm	and tagged with Balcony Garden, gardening, Guerrilla Gardening, hobbies, Occupy, Politics, seedbombs and posted in Balcony Garden, gardening, Guerrilla Gardening, hobbies, Occupy, Politics, seedbombs. You can follow any responses to this entry through the RSS 2.0 feed. « Apathy in NL… Oh! Selfies!